While tonight’s subject is not limited to music of consolation, it does follow a theme that requires understanding and empathy. One definition of the word “melancholy” is “thoughtful sadness,” or, one might say, a time of serious reflection on one’s state or place in life. Such reflection, from time to time, is not only inevitable but healthy, if by doing so we gain perspective and are thus able to continue the journey of life with confidence, joy, and a deep respect for one another as we face the challenges of each day. Without a precise poetic allusion, David Froom’s “Fast and Furious” seems to epitomize the textures and pacing of our modern world. It is followed by the soothing naïveté of Daniel Elder’s “Lullaby.” Louis Vierne’s “Hymne au soleil” (Hymn to the Sun, probably 4 inspired by Lamartine’s poem of that title) speaks of the sun as a metaphor of the Eternal, a recurring source of optimism and beauty on a path too often marred by pain and disbelief. Brahms’ soaring Alto Rhapsody takes us to the wilderness of scorned desire. The wanderer, lost in his desert of hubris and self-pity, turns at last to the Father of Love and His Psalter, begging for one note to quench the misanthropic burning of his tortured heart. As if to assuage this bitter thirst, Herbert Howells’ setting of the Magnificat rejoices in Mary’s humility before the Source of all comfort and hope: “My soul doth magnify the Lord, and my spirit hath rejoiced in God my Savior.” Eugene Ysaÿe’s “Malinconia” (Melancholy) briefly returns to the theme of “thoughtful sadness” as the singers, orchestra and dancers perform J.A.C. 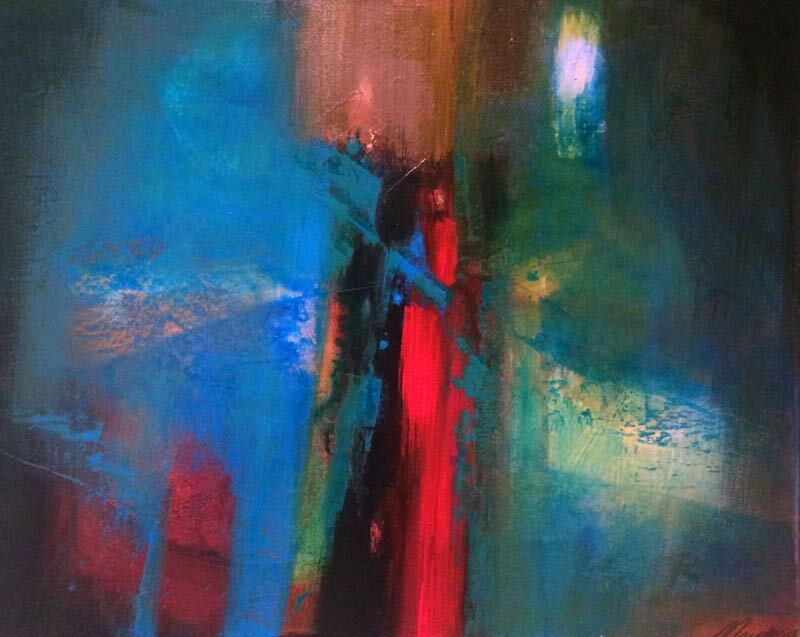 Redford’s Rest Now, My Sister, a profound meditation in the face of tragic death. Quickly changing the mood — or perhaps in response to it, Louis Vierne’s “Feux follets” (Will-o’-the-wisp) presents a phantasmagoria (“a rapidly shifting scene of real or imagined figures”) in this scherzo-like selection from the 24 Pièces de fantasie. Two songs from Brahms’ Neue Liebeslieder warn of the perils of love. The first, “Nein, Geliebter, setze dich,” hopes to keep secret a budding romance. Far from coy shyness, the second, “Flammenauge, dunkles Haar,” speaks passionately of “flaming eyes and dark hair.” In the same vein, the “Segudilla” from Bizet’s Carmen is sung by a hot-blooded gypsy girl who uses her wiles to escape from a Spanish jail, but in doing so destroys both the guard who succumbs to her and, by his betrayal, his virtuous and innocent sweetheart. 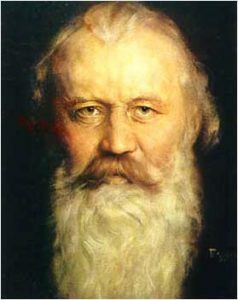 After completing his famous Requiem in 1868, Brahms turned much of his attention to composing Lieder, such as the four songs of Op. 43. The death of his mother, for whom the Requiem was composed, heightened his predisposition to melancholy and perhaps foreshadowed the intense emotional frustration of his later years. 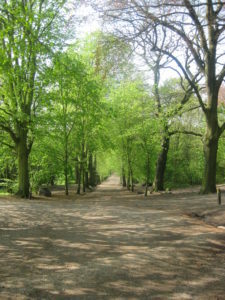 His setting of “Die Mainacht,” a lyric metaphor of romantic bliss expressed through a nightingale’s singing, is probably an early reflection (he was then 35) of his inner loneliness and longing for a happy marriage that never came. The song is in three sections, the second being a development, and the third, a modified restatement of the beginning. When the return occurs it is felt as resignation rather than the consummation portended in the poem’s metaphor. Although Brahms avoids overt tone-painting, a careful matching of text and music reveals a skillful artist’s brush in portraying the wrenching descent from ecstatic hopes into despondent shadows. David Froom will not be new to Utah audiences, having served briefly as a member of the University of Utah Music Department’s composition faculty in the 1980s. With prize-winning compositions, multiple recordings, regular performances by the Smithsonian Institution’s 21st Century Consort, and honors ranging from the Kennedy Center’s Friedheim Awards (first prize) to the Music Teachers National Association Distinguished Composer of the Year in 2006, Froom has enjoyed a distinguished international career. Since 1989, he has been a member of the faculty of St. Mary’s College in Maryland. The four movements of his Sonata for Solo Violin all have English titles. The final movement, “Fast and Furious,” is exactly that, but expressive and listenable in the bargain. Daniel Elder (b. 1986) is from Athens, GA has the rare gift of making elegant music from deceptively simple ideas. His sonorities are transparently luminous, as are his unpretentious but perfectly conceived piano accompaniments. And he is both author and composer. This is choral singing of sheer beauty! 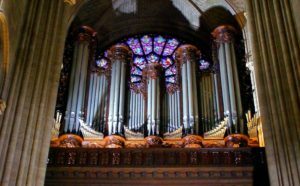 Born virtually blind but with an unusual gift for music, renowned French organist Louis Vierne was one of the celebrated masters of the French romantic school inspired by the “symphonic” organs of the famous French builder, Aristide Cavaillè-Coll. A student of Cesar Franck and Charles Marie Widor, he became organist at the Cathedral de Notre Dame, Paris, in 1900 and served there until his death in 1937 (which, in the best romantic tradition, occurred during a concert encore at the console of the famous organ). Himself a revered teacher, Vierne passed the French tradition to a host of famous students, including such organ luminaries as Marcel Dupré and Salt Lake’s own Alexander Schreiner. Vierne, personally, set about to raise funds for its repair, with concert tours in Europe and later in America, raising not only significant amounts of money but also building his own reputation as one of the finest organists in the world. His compositions include six Organ Symphonies and the 24 Fantasy Pieces (1926-27), of which the beloved Carillon de Westminster is among the world’s most recognized concert pieces. Tonight’s program features two lesser known pieces from the same collection: Hymne au soleil (Hymn to the Sun) and, later in the program, Feux follets (Will-o’-the-Wisp); the first, grand with antiphonal pyrotechnics between the manuals and pedals, the second, as would be expected, lightly-textured and fanciful. 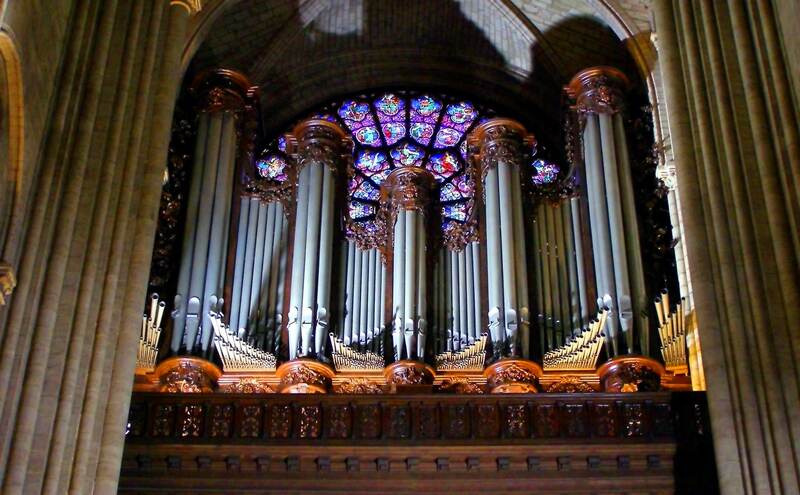 *On 12 December 2012, after 10 months’ restoration work and silence, the great organ of Notre Dame de Paris – the largest in France, with five keyboards, 109 stops and nearly 8,000 pipes – opened the festivities for the cathedral’s 850th Anniversary. Johannes Brahms (1833-1897), for contralto solo, male chorus, orchestra. “The poem is a meditation on the different kinds of life God ordains for different temperaments; the central stanzas, set by Brahms, concentrate on the fate of the man weighed down by fruitless struggles against the iron bonds of misery. A young man, turned misanthropic by sorrow, seeks solitude in the wilderness. A depiction of the desolate winter landscape into which this figure has strayed is followed by an analysis of his mental anguish and a prayer for a melody that can ‘restore his heart’ and bring comfort to the thirsting soul. [Brahms] was rightly proud of the Rhapsody’s compactness of expression [introductory recitative, aria, and final chorus], somber beauty, and discreetly apposite textual illustration. The opening recitative, dark-hued in its scoring and graphic in its sense of emotional oppression, derives much of its effect from the rootless wandering around the basic C minor tonality which so aptly depicts the misanthrope’s losing his way in the trackless wilderness. *Misanthropy: extreme bitterness, disappointment, envy or despair regarding one’s own fate as compared to the apparent happiness or good fortune of others. It might seem strange that Herbert Howells, the son of a lay organist in an English Baptist Church, and who in later years would be known as “an unorthodox Christian,” should have become one of the major musical voices of the Anglican Church in the 20th century. But so it was. Because of his talents, the young Herbert was taken under the wing of some of England’s greatest musicians, given a sound musical education and ultimately a place in the English musical pantheon, along with Hubert Parry and such giants as Ralph Vaughan Williams and Edward Elgar. Strongly influenced by the Tudor church music of the 16th century (Tallis, Byrd, and others), Howells was thoroughly mentored and thus influenced by Ralph Vaughan Williams. His Magnificat was composed in 1945 during the last year of his appointment at Cambridge as a memorial to his son Michael, who had died earlier (see the Introduction above). The following note regarding the Choral Evensong at London’s St. Paul’s Cathedral sheds some light on the parenthetical insert in the title: This is the one Cathedral service which is led almost entirely by music, with the Choir singing preces and responses, the psalm for that evening, the Magnificat and Nunc Dimittis of the Canticles and also an anthem. J.A.C. Redford, his wife Le Ann, and their family faced unimaginable tragedy last December  when LeAnn’s sister, Kristine Gabel Allred was murdered. Redford looked to words, initially, as he says, to “deal with my own grief and console my wife.” His sonnet “Rest Now, My Sister,” subsequently married to music, was painfully true to the circumstances of her death, yet, by expressing the heartbreak verbally and musically he found the means to summon peace. Framed by quotations from the traditional Latin Mass for the Dead (set as a solo chant), varied forms of the tender refrain, “Rest now, my sister,” serve as a thrice- recurring ritornello, heading each of the sonnet’s three quatrains, while the final line of the couplet concludes with the word “rest.” Bird imagery infuses the poem with descriptive phrases, both terrifying and comforting, and a f inal reference to the resurrection: O let the phoenix sing. For birdsong now may weave its golden nest and heart unclenched at last may learn its rest. 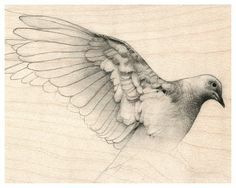 Redford found inspiration in Gerard Manley Hopkins’ poem, “Peace”: When will you ever, Peace, wild wood dove, shy wings shut, Your round me roaming end, and under be my boughs? When, when, Peace, will you, Peace? And in a reverse nod to Dylan Thomas, h e prays that “my sister’s soul may indeed ‘go gentle into that good night’ after a death of such unimaginable violence.” “Rest Now, My Sister” is a solemn, courageous and loving tribute. As brother-in- law and composer, Redford offers Kristine — and others who hear his piece — an exquisite, genuine response to her death and to her life. 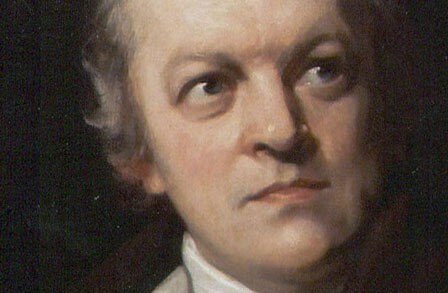 Just as other composers and artists have turned to what they know best to assuage their feelings, J.A.C. has taken an act of destruction and answered it with an act of creation. As the audience will see, this work also lends itself beautifully to interpretive dance, thus adding a new dimension to the creative circle of the Utah Chamber Artists. “Feux follet” (Will o’ the Wisp) has reference to the phosphorescent light caused by swamp gas as it appears to flit and dance about in the night air. In a more superstitious age this strange natural phenomenon was thought to be the apparition of malevolent spirits who would lead unwary travelers off the beaten path and into the treacherous swamps where death awaited. Vierne, among other composers, saw it as a way to evoke magical affects on his instrument. “What is this thing called love?” — Cole Porter’s 1929 classic could easily serve as a one-sentence summation of Brahms’ “Love-song Waltzes”. 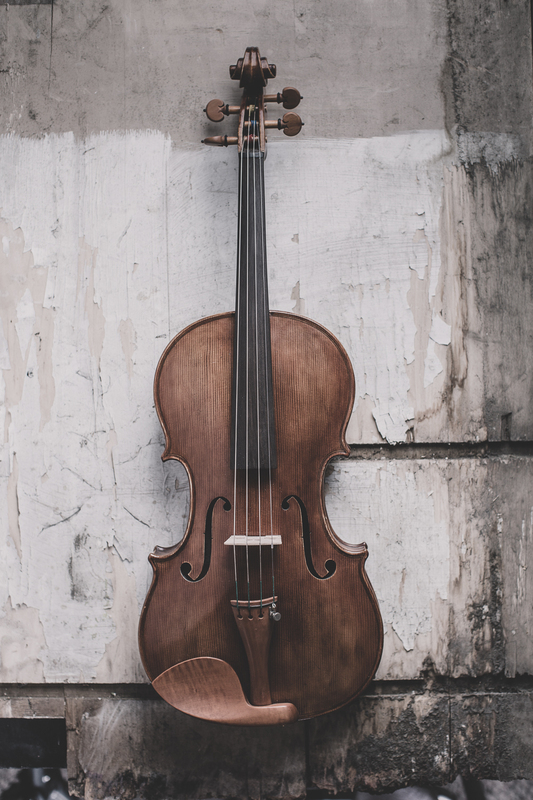 Set to poems by Georg Daumer, these delightful, ever-popular pieces are in fact sophisticated Ländler (the familiar German folk dances with their characteristic OOM-pah-pah beat) inspired by Brahms’ editing of 20 such pieces for piano by Franz Schubert. Daumer’s poetry (from his collection Polydora– also derived from folk traditions) covers the gamut of emotions from passionate rapture to longing and loneliness. But rather than forming a connected narrative, such as one finds in the typical Romantic song cycle, Brahms’ selections are individual miniatures, each with its own comment on the nature of love. Some are jolly and light-hearted, others ironic, introspective, or sad; often the sentiment is left to dangle incomplete or unexplained. Brahms actually composed two sets of Liebeslieder: Op. 52, with 18 songs, and Op. 65, with Tonight’s performance presents two songs from Op. 65: No. 13, “Nein, Geliebter, setze dich,” is a soprano-alto duet, while No. 14, “Flammenauge, dunkles Haar,” begins with the same soprano-alto duet, followed by a second section for SATB voices. Bizet’s opera is the age-old story of fidelity versus temptation, and predictably, it doesn’t end well. Carmen, a lithe and sensuous gypsy girl, has been arrested for stabbing another girl at the cigarette factory where they work. Soldiers from the nearby garrison in Seville have brought her to their headquarters for arraignment and having tied her hands, left her in charge of a handsome corporal, Don José. Although his love has been promised to a lovely but naïve local girl, Micaela, Don José is immediately attracted to the hot-blooded Carmen, who sings tauntingly of love. Despite attempts to ignore her seductive advances, Don José is drawn inexorably to her charms. Tragedy ensues, but, of course, it makes for great opera, as Bizet fashions one knockout number after another, including this memorable Seguidilla (a seductive Spanish dance) that has become one of the most recognized arias in all of opera. Truly, a “joyful noise” unto the Lord.